POSSIBILITY... that was week's 1 motivation for me. The possibility to be stronger, physically and mentally. The possibility to reshape my body. The possibility to stick to something longer than I ever have before. This was the mental shift I had to make to wrap my head around sticking to a program for 80 days. Knowing this program was coming, I added an additional incentive... I intentionally ate my way through the holidays. 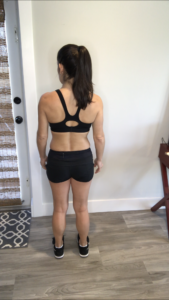 I wanted to see first-hand the ups and downs of this program and how it was going to shape me (and my little back/ side softness). I weighed in at 117.6 Sunday night. Interesting enough, Friday morning (end of week 1), I weighed 118. But I knew not to panic. It is typical for your weight to go up when you start a new workout program. 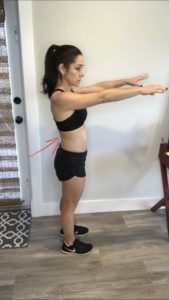 Your body goes into shock, your muscles are swollen and need time to repair. Loved the variety. I can see that this can easily become my favorite program. Some days you use weights. Some days you use bands and/or sliders. Some days there is no equipment needed or a combination of everything. 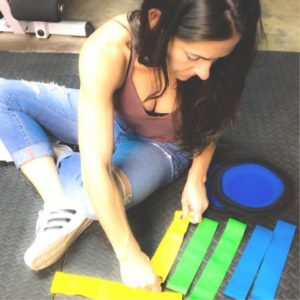 I can see the importance of the bands and sliders on really helping you engage your core when working on other parts of your body. When Saturday's Cardio Flow came around, I frowned (not a big fan of Cardio) but it turned out to be my favorite. I almost felt like it was a dance routine you needed to memorize. I will be hosting an exclusive Feb-YOU-ary fit club with preparations starting Monday, February 19. 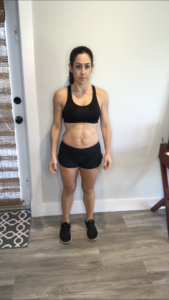 If you are ready to be obsessed with being the best version of YOU and taking your health and fitness to a new level, click here to fill out a quick form. I'll share my menus, recipes, tips and motivation, making this the best challenge you've ever taken!